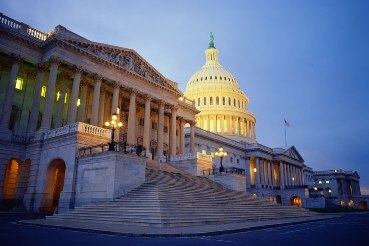 The 111th Congress on Wednesday December 16th, 2010 passed Alzheimer’s landmark legislation in form of the National Alzheimer’s Project Act. On Tuesday January 4th, 2011, President Obama signed the legislation into law. This long overdue legislation was passed unanimously by both the house and the senate. Two broad objectives are the major thrusts of the new law. 1. Coordination of Government efforts in preventing and treating Alzheimer’s disease. 2. Establish a National strategy for defeating Alzheimer’s. We are now in a period of watchful waiting to see how the provisions of this new law unfold and how it will impact funding for new research in an effort to find a cure. The bill does not contain a nickel of funding but the framework and thrust of the bill should work to lubricate the wheels of and release the brakes on Alzheimer’s funding. Finding a cure for this dread disease is a long process that does not happen overnight. Research, trials, studies and the FDA approval process takes at least a few years. Funding is an important key to this process. The sorry state of past Alzheimer's funding is hopefully now over. The past ignorance of the Presidents and the Congress is also hopefully now over. 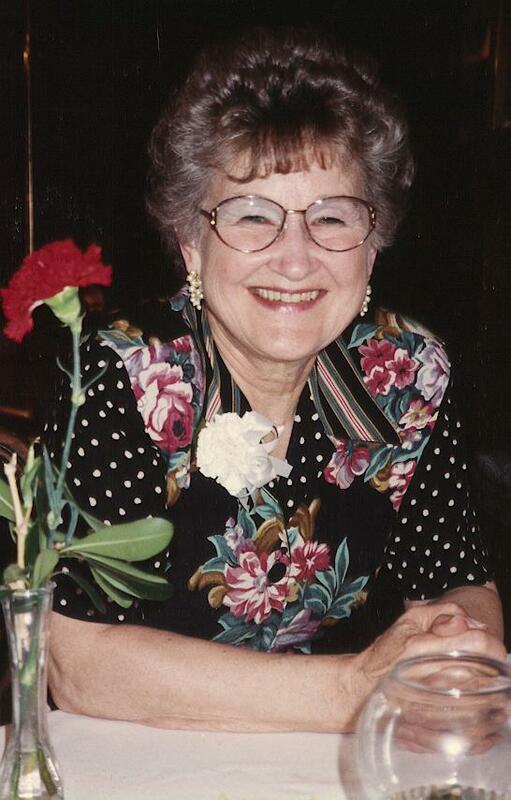 …..Editorial Note: My wife June was diagnosed with Alzheimer’s in January 1998. Later during June’s visit as a patient at the Mayo Clinic, one of the clinic doctors advised us that with all the Alzheimer’s research taking place, they expected a cure would be found in 5-10 years. June died in October 2008 (almost 11 years later) and we were no closer to a cure than the day that she was diagnosed. In the month of June's death, the Saturday Evening Post (Sep-October 2008) reported how President Bush had cut funding for Alzheimer's and no other President had done that in at least 38 years. He had cut an already inadequate and puny budget item. My letters to him on Alzheimer's funding were obviously ignored. I wrote to President Bush in 2001 telling him of the great need for Alzheimer’s funding. He wrote back to me (President’s letter received on my wedding anniversary in 2001) to tell me how he was increasing the funding for “diseases that affect so many Americans, such as breast cancer.” Did he or a staff member even read my letter? I wrote to him again in 2006 (as well as all congressional leaders on both sides including the house speaker Pelosi) and did not even receive the courtesy of a reply from most. President Bush was the President for most of June’s Alzheimer’s years. (1998-2008) He was ending his final term as June was ending her life. During the period of July 2001-2008, in a desparate attempt to save June, I sent out over 40 detailed and documented letters and personal pleas to the U.S. Congress, the President, the Vice President, to National Religious Leaders and the American Legion. Most did not even respond - These letters produced no results! While I am personally a conservative and normally vote Republican, I have no respect for ignorant people who have no compassion such as President Bush. I know God will forgive President Bush and I know as a Christian that I should also forgive him...I find this hard to do at the present time! The problem is that there is actually very little research that has been done compared to the research that is going on in the areas of other diseases. The disparity in funding for cancer research compared to Alzheimer’s is pointed out by Dr. Prusiner. This Government’s inappropriate disparity in in previous years funding may have effectively sentenced my wife June to death as well as my mother Ellen and the other over 200 daily Alzheimer’s deaths. This has been happening year after year for the last 12 plus years. Hopefully this is now at an end and that funding in the future will be more appropriate and adequate for the job that needs to be done. **May 15th 2012 -Update on the National Alzheimer's Project Act...what has happened in almost 2 years? In January 2011, President Obama signed the NAPA, National Alzheimer’s Project Act (Public Law 111-375) into law and declared that Alzheimer’s would become a national priority…so what happened in 2011 in regard to implementing this priority?. Nothing by way of funding or anything otherwise visible…in fact, the 2011 NIH funding for Alzheimer’s went down. The new budgets are now out by the NIH as of February 13th, 2012 and they reveal scant little change in NIH funding for 2012 and projected budgets for 2013. Now in the past two days, (5/15/2012) President Obama has unveiled an impressive national plan for finding a cure by 2025….Again he has declared Alzheimer’s a National Priority…so far no money to implement the plan….nothing can happen without funding…. What is the funding picture past and present? NIH – National Institute of Health – Estimates of Funding for Various Research, Condition, and Disease Categories (RCDC) Research Portfolio. NIH Summary Table data from Years 2006 through 2013. - Comparisons of HIV/AIDS and Alzheimer’s…Data shown is in millions. *Note: For most years HIV/AIDS was receiving approx. seven + (7+) times more funding than Alzheimer’s for basic research…In addition there is another category for HIV/AIDS called Vaccine-AIDS that has received about $550 additional millions a year plus a 3rd account for Pediatric AIDS with 228 milion! This means that HIV/AIDS is receiving seven (7+) times more money in total. (See note below.) One must give the HIV/AIDS people credit…they have gotten the money they wanted and their results have been a resounding success. All this in spite of the fact that HIV/AIDS is not one of the 15 leading causes of death in the US and that 10 times more people die of Alzheimer’s here every day than die of HIV/AIDS! The number of funding accounts varies and increases by every year. There were 218 funding accounts in 2010, 229 in 2011 and 233 in 2012.. Even Obesity does better than Alzheimer’s receiving almost 1 billion in 2010, 830 million in 2011 and is projected to get 829 and 827 million in 2012 and 2013…to me this is outrageous and indicates a government out of control…and this is only the tip of the proverbial iceberg on ridiculous allocations…there are many, many more such examples! Meanwhile over 225 people are dying daily in the US from Alzheimer’s and no one really seems to care! At the time this book was written in 1944 the world was in the midst of WWII and Battleships were still being made. Now the world’s navies have discarded the construction of new Battleships in favor of Cruisers. Our present day Aircraft Carrier would probably be comparable to the WWII cost of a Battleship. As of the year 2011, our Navy inventory of Aircraft Carriers was Eleven (11) with a budget for building three (3) more new ones at a cost of 41 Billion. 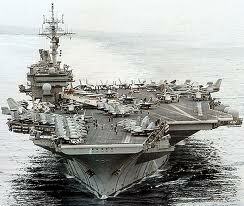 One new carrier is presently half completed and it is expected that the final cost will be about 13 Billion. According to Wikipedia, the number of US “in service” 11 aircraft carriers is equal to the total number of the 11 such Aircraft Carriers in service for the total of all the worlds navies. Russia and the UK both have 1 in service, China just added their first one, and Spain and Italy each have 2. No one has more than 2. Why does the US Navy need 11 Aircraft Carriers with 3 more in the budget with one already under construction? I would think that the US Navy could forgo 1 Aircraft Carrier in order to fund Alzheimer’s research to erase the current 5th leading cause of disease death in the US. So, is Pastor Weatherhead correct about what he is saying, or is this just a wild bit of speculation by a member of our clergy? I would say he is right on target…All we have to do is to look at what the HIV/AIDS research programs and the charted data above to see what they have done when they have been given ample funds for research. The cost of one aircraft carrier would fund Alzheimer's research with the same kind of funding that made HIV/AIDS a success!